Readers Are Abandoning Marvel Comics After Social Justice Invasion. Fans of Marvel comics will know the pain of watching their favorite Heroes become subject to PC thinking and "social Justice" nonsense. Have your favorite characters turn gay, gender swapped and other nonsense, has gone too far! ​The dialogue mirrored most sane reader’s thoughts during the issue, but we’re not all monsters. We are just loyal, long-time readers who are sick of our favorite characters being butchered by nose-ringed lesbians for the sake of diversity, and at the apparent expense not just of dialogue, story and creativity but also, it now appears, the commercial success of Marvel’s comic books line. Faith Walker Needs Comic book Artist/Inkers/Colorist and letters! We are in need of Pencils /Inkers Colorists and letterer. We of CAHU (Christian Action Hero Universe) are in the home stretch of the latest Faith Walker title- "Faith Walker and the First Watch. It's is slated for a spring release and we need to complete the art duties in two weeks and a half weeks. Latest for color Feb 22nd. You can now have Amen #1 as a PDF to your email for $1.00 - pay pal to chester.colston@gmail.com and I'll send it to your email. Please leave your thoughts and comments at the end of the article. We would love to hear your opinion! “For the past 35 years, one of my greatest pleasures has been to see Star Wars passed from one generation to the next,” said George Lucas, maker of the Star Wars movies. Over the last four decadesStar Wars has consistently won the hearts and minds of viewers of all ages and is arguably one of the most lucrative and widespread cinematic enterprises ever to hit the silver screen. And with Disney’s purchase of Lucasfilm back in 2012, provided the Lord tarries, Lucas’ legacy and message are all but guaranteed to thrive for years to come. Sci Fi and Japanese Anime movies he created the Starr Skills Studios Universe which comprise of Ant hill, G.U.N and The Ananci. Preview: Lightning Prophetess: Dreamer.Seer.Warrior Episode 1: Dreams. The Reboot of the Lightning Prophetess Series as you never seen it before. Story by Shan Koger art by Walter Reynolds. Meet Shandra Knight, reluctant college student who gets drafted in the biggest war for souls you ever seen. Will she learn to juggle school, survive her friend Kat,and dodge every spiritual warfare run in? Episode 1 is part of the upcoming graphic novel in Late 2015. You can now buy a digital copy of Episode 1 of DSW. Go to the link for the low price of $2.30. Become a Patron of XP Comics: Comics and Manga, with a Christian perspective! We are XP Comics! We are a Christian comic company that strives to break into the comic industry! We are devoted to compelling stories and characters. We do not intend to do any Bible comics, but original stories! We want to reach this goal to be able to pay for an upgrade on our site and open up a Shop where you can buy merchandise like t-shirts and other future products! COSMOS is an all-new, star-spanning, 12-issue maxi-series which will pit the greater good against evil incarnate in a rollicking tale which will genuinely entertain you and serve to introduce backers to interesting new worlds & characters. COSMOS is part mystery, part science fiction adventure that brings together all of Advent Comics’ cosmic heroes and chronicles the secret origins of the Advent Universe as events are set into motion that could destroy all existence as we know it! The enigmatic Outcast arrived into the Advent Universe...but he was not alone! Now the mysterious Genesis appears but is he the catalyst that saves the universe…or destroys it! COSMOS #2 is a 24-page, saddle-stitched comic book. If you want great looking, science fiction inspired indie comics that will pleasantly surprise and entertain you, I cordially invite you to getCOSMOS. The adventure is just getting started and MAJOR SURPRISES are coming your way as the series takes off…I guarantee it!!! And: As we launch this Kickstarter campaign, the creative work is 100% done. All we gotta do is print and ship! That’s it!! Looking for a Christian comic publisher? You're in luck! We in XP Comics are taking submissions from Christian comic creators! What we are looking for is comics or manga that reflect a Christian theme or message. Now this doesnt mean that we are looking for Chick Tract-like stories. We want to be more like the great Christian authors such as C.S. Lewis (Chronicles of Narnia) or J.R.R Tolkein (The Hobbit & Lord of the Rings); stories that can be creative but reflect the Christian message and philosophy. 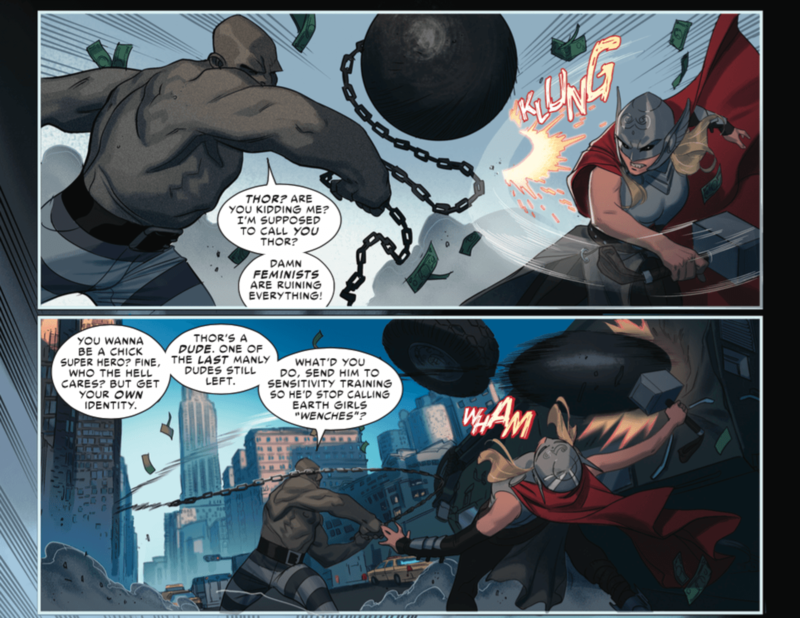 CYI Worldwide's spotlight on comic books and geekdom from a Christian perspective! and sharing information about Christian comic book creators and media!